The EMU experience is made exponentially better by the location. 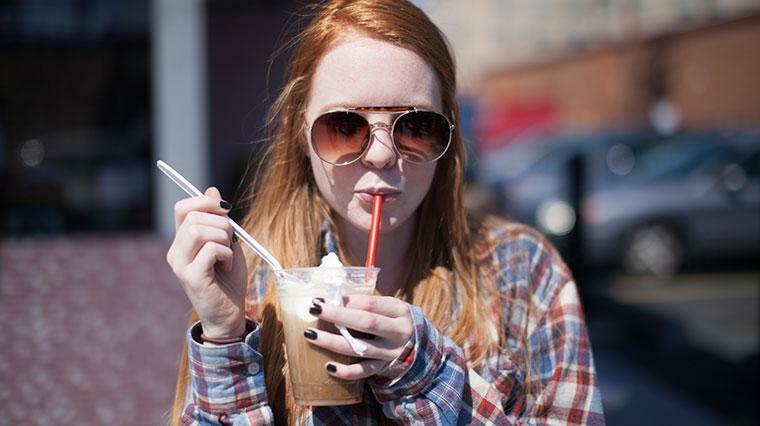 Harrisonburg, Virginia consistently ranks among the best college towns in the country. You will study surrounded by beautiful mountain views and enjoy a wide variety of local restaurants, shops, festivals, and events. Both outdoor and downtown adventures are only a few minutes away. Here are some of the amazing reasons to consider spending the next four years in the Shenandoah Valley. Harrisonburg, a safe and welcoming community with a diverse population of approximately 50,000, has been referred to as “The Friendly City”, “Rocktown”, and “The Burg” but our students quickly learn to call it “Home”. The surrounding Rockingham County and beyond is famous for the Blue Ridge Mountains, Shenandoah National Park, The Shenandoah River, pristine farmland and exceptional views. 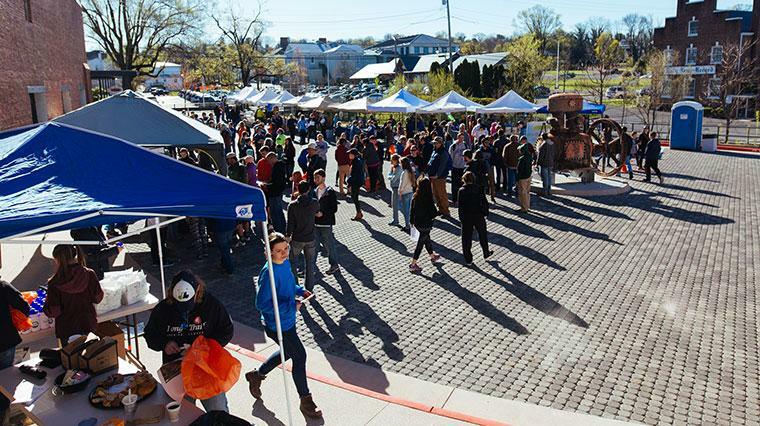 Harrisonburg’s vibrant downtown is brimming with food culture and has been named a “Culinary District”. Discover the growing list of restaurants and food related businesses. Find your inspiration amidst the quality vibes of an eclectic coffee shop, catch up with friends over a locally sourced brunch, or enjoy dinner on a rooftop patio under the stars. Art creators and appreciators alike will find Harrisonburg’s Arts & Cultural District a source of endless wonder. 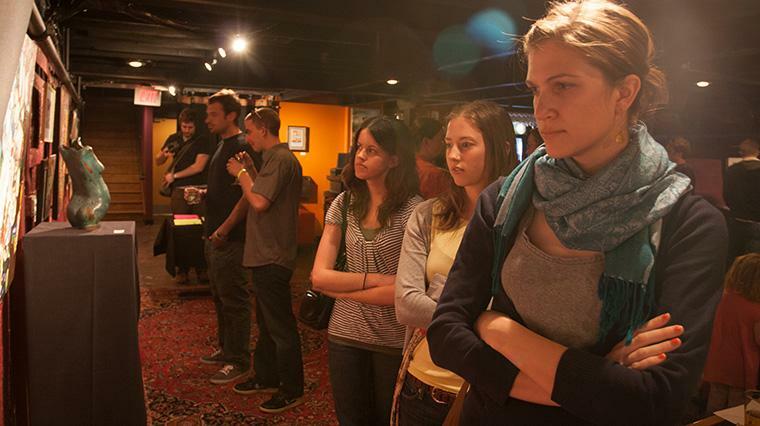 No matter the style or medium, Harrisonburg’s growing network of galleries, concert venues, theaters, and museums generate a perpetual schedule of exhibits and performances that enrich our community. You will no doubt find yourself downtown on multiple occasions for various events and annual traditions. 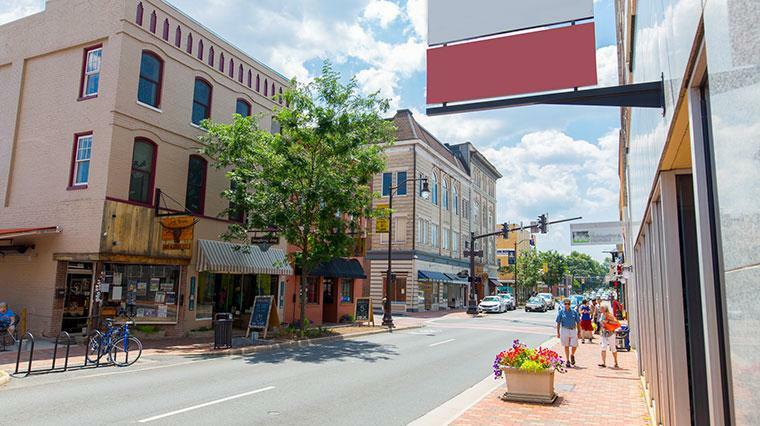 Downtown Harrisonburg features a variety of shops, restaurants and special events. 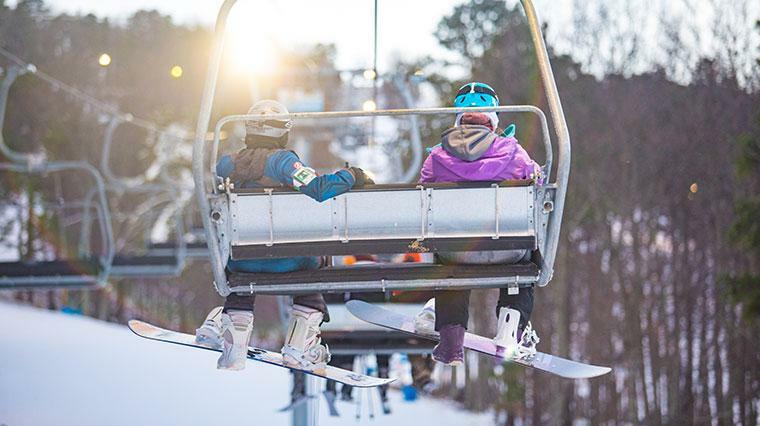 Students relax on the lift at Massanutten Resort at the annual EMU Ski Night sponsored by the Campus Activities Council. Students have the opportunity to take ski or snowboard class for credit since the slopes are less than an hour away. 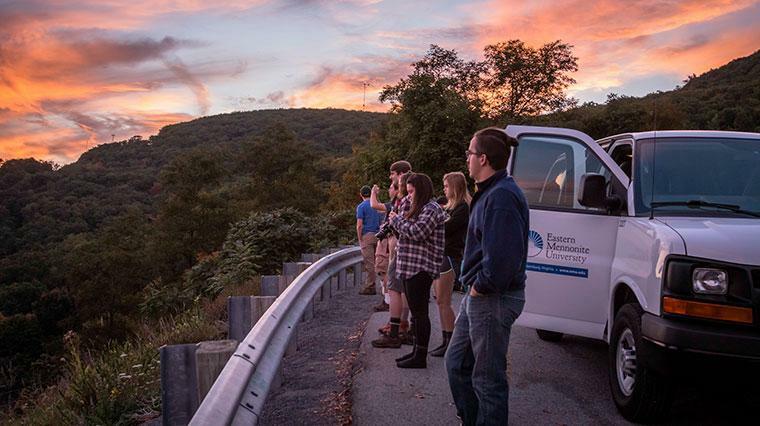 Students stop to take in the beautiful evening on their way back from Dolly Sods Wilderness in the Monongahela National Forest. Classes and student organizations take full advantage of the surrounding region. 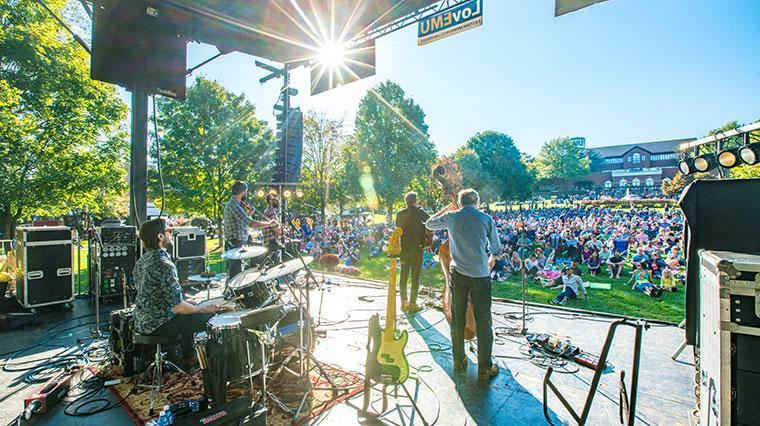 The Harrisonburg music scene features a collection of local and touring acts. Some concerts, like this one, take place right on campus. Downtown Harrisonburg is home to Virginia’s first “culinary district” feature more than 30 locally-owned restaurants and eateries. Students get involved in downtown events like the annual Blacks Run Clean Up Day. It’s a great opportunity to get to know the community and help the environment. 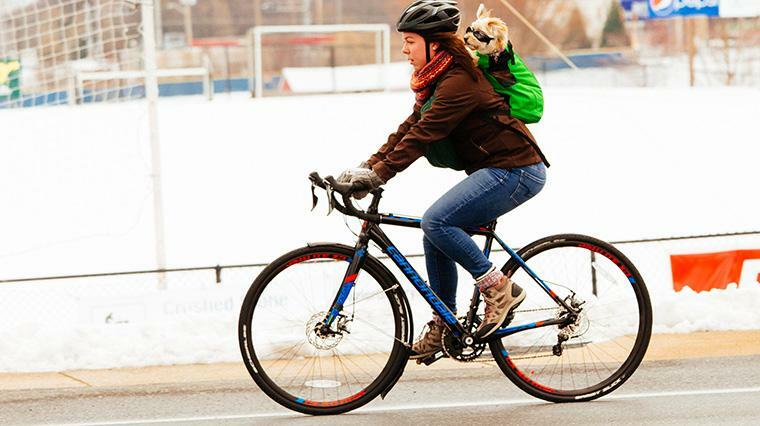 Biking is the transportation of choice around campus and we are also only a few miles from downtown Harrisonburg. Residence halls and academic buildings are outfitted with bike racks and there is even a bicycle repair station available 24/7.